Brian Spross got his degree in Mechanical Engineering, and he takes that meticulous approach to law. 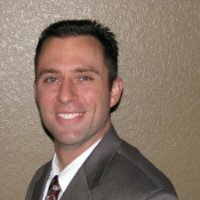 Brian’s firm specializes in law for tech firms, and I knew he loved wine, so I thought he’d be a great fit for the podcast. After all, the legal aspects of business are critical to sales, but even more than sales, something that many technical founders don’t want to consider. When you need a lawyer. How (relatively) inexpensive it is to set up a company, and why you must, must, must do this. Why people don’t have good contracts in place (and what you can do about it). How the “designed to…” approach from engineering is so useful in law and contracts. Why your technical people need to read (at least) the technical parts of contracts and agreements. Just because you got paperwork from a big, important company, doesn’t mean you have to sign it “as-is”. Red flags for contracts that may cause problems down the road. The simple way to pick your lawyer. Plus, I recount the painful memory of the one time a client skipped out on an invoice. La Posta Malbec from Argentina, 2014. Another big red, but really nice and smooth as it breathes.